Biometric identification or authentication is a pattern recognition process, which is carried out acquiring different measures of human beings to distinguish them. Fingerprint and eye iris are the most known and used biometric techniques; nevertheless, also they are the most vulnerable to counterfeiting. Consequently, nowadays research has been focused on physiological signals and behavioral traits for biometric identification because these allow not only the authentication but also determine that the subject is alive. Electrocardiographic signals (ECG-S) have been studied for biometric identification demonstrating their capability. Taking into account that some pathologies are detected using ECG-S, these can affect the results of biometric identification; nonetheless, some diseases such as cardiac murmurs are not detected by ECG-S, but they can distort their morphology. Therefore, these signals must be analyzed considering different pathologies. In this paper, a biometric study was carried out from 40 subjects (20 with cardiac murmurs and 20 without cardiac affections). First, the ECG-S were preprocessed and segmented using the fast method for detecting T waves with annotation of P and T waves, then feature extraction was carried out using discrete wavelet transform (DWT), maximal overlap DWT, cepstral coefficients, and statistical measures. Then, rough set and relief F algorithms were applied to datasets (pathological and normal signals) for attribute reduction. Finally, multiple classifiers and combinations of them were tested. The results of the segmentation were analyzed achieving low results for signals affected by cardiac murmurs. On the other hand, according to the cardiac murmur effects analyzed, the performance of the classifiers in cascade shown the best accuracy for human identification from ECG-S, minimizing the impact of variability generated on ECG-S by cardiac murmurs diseases. 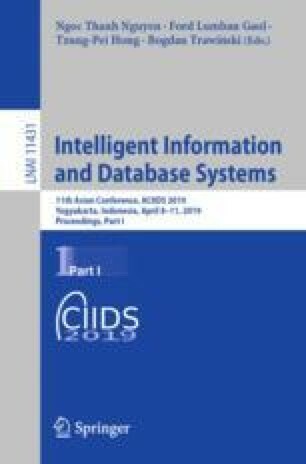 The authors acknowledge to the research project titled “Desarrollo de una metodología de visualización interactiva y eficaz de información en Big Data” supported by Agreement No. 180 November 1st, 2016 by VIPRI from Universidad de Nariño. Besides, acknowledge to SDAS Research Group and to the project P17202 supported by Instituto Tecnologico Metropolitano ITM of Medellin.